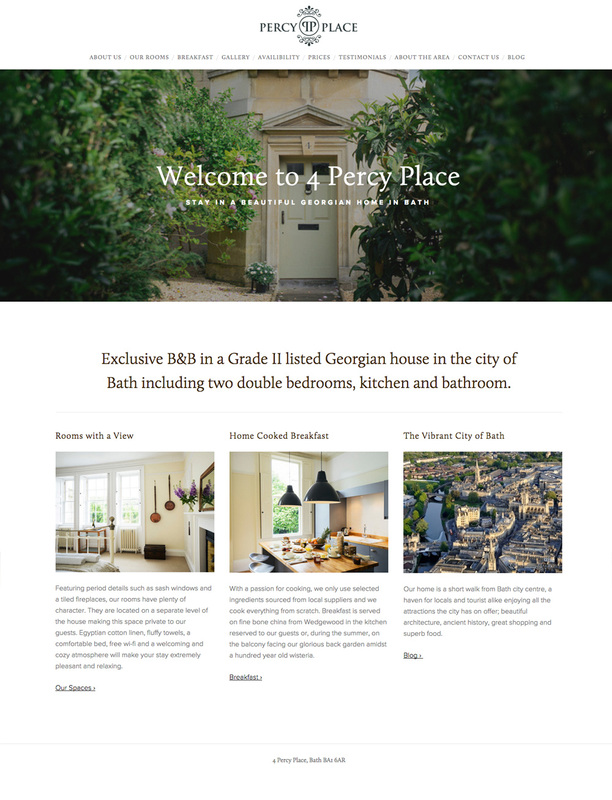 4 Percy Place is an exclusive B&B in a Grade II listed Georgian house in the city of Bath. It used to be the home of Rev. Jay William, one of the most eminent English Congregationalist preachers of Regency England who used to preach in the Argyle Chapel in Bath at the end of 1700s. Simona was after a clean, stylish website design to reflect her beautiful home and promote her B&B business. A logo was also required that could be used on any supporting literature. She had some great photography to help bring the site to life so I felt that a minimal SquareSpace theme would combine perfectly. The result is a modern, responsive site that highlights the beauty of the building and portrays Simona’s welcoming personality.